Gender equality remains a central and definitive Labor value, at home and internationally. Inequality remains a pervasive human rights challenge and a critical barrier to economic development in the Indo-Pacific region. The Abbott and Turnbull governments’ decision to retreat from international development assistance funding has only exacerbated this problem. The erosion of long-standing Australian aid programs in many neighbouring countries means less development, poorer health outcomes, more poverty, and greater deprivation. And for a combination of cultural, political, social, and structural reasons, women are hit the hardest. In particular, development assistance cuts translate into increased maternal mortality, fewer vaccinated children, fewer girls in school, and fewer women playing their rightful role in the formal economy. To her credit, Foreign Minister Julie Bishop has sought to increase the priority of gender equality and women’s empowerment in the aid program, notwithstanding the lack of support from some quarters within the government. A Labor government will retain and strengthen the requirement that gender equality be advanced through aid investment. And we will ensure that our foreign policy and trade work contributes to and reports on equality. But Labor recognises more needs to be done through our aid program to overcome the deep structural impediments to equality across all societies. We can’t just expect individual women to overturn inequality on their own. Empowering women demands more than simply supporting individuals. It requires confronting and reforming the economic, social, and cultural barriers to equality. It demands a focus on generating more opportunities for women. Whether it is the inability to access educational opportunities, financial services, or value chains; justice systems that fail to protect women and girls against violence; gender-based constraints on occupation; or simply systemic discrimination, structural barriers define the status quo that perpetuates women’s repression. This was underlined by the experience of the last election in Papua New Guinea. Despite having a record number of female candidates, many of whom were supported by Australia’s aid program, no women were elected. Supporting individual women to step up will yield little if their society, economy, and political system give them no chance of succeeding. Our development dollars need to help create a better enabling environment so that these women leaders can succeed. Of course, development assistance alone does not fix the problem. Ultimately, for gender equality to be realised it needs to be a central part of a nation’s economic and social development strategy. To grow the social and human capital that is at the heart of the answer to gender inequality, Labor’s development assistance policy will inevitably focus on health and education. The region still faces significant health challenges; the maternal death rate in the Pacific and Timor-Leste, for example, remains unacceptably high. Maternal death rates can be reduced through properly funded sexual health and family planning programs. This area of programing has experienced turbulent changes as a result of the Global Gag rule, which Marie Stopes International warns could result in the deaths of nearly 7000 women and girls* due to avoidable maternal health complications. 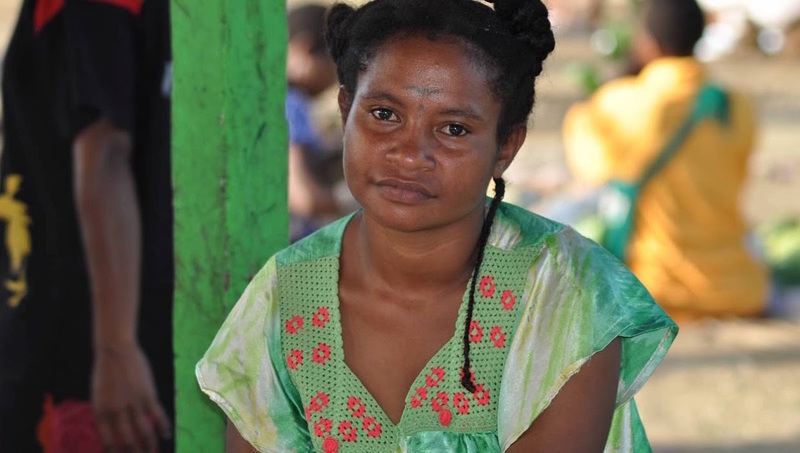 Cervical cancer rates in the Pacific are among the highest in the world. Women in the Pacific Islands are dying at a rate up to nine times that of Australian women, due to the fact that screening is not routinely available. Given Australia’s leadership in HPV development and subsidised public immunisation, there is genuine hope that the virus can be eradicated. We can and should be having a bigger impact. Health programs need to work at the local level and contribute to systemic improvements in health policy and delivery. So while Labor will retain its historical focus on capacity-building at the national level, we fully intend to ensure our aid program helps our partner governments deliver improved health outcomes to vulnerable communities. Besides health, education is a second necessary condition for gender inequality. In a report published last May, UNESCO demonstrated that, globally, development assistance in education plateaued in 2010, and has been stagnating ever since. Yet there is more work to do for development to support broad-based education outcomes that can support young women and men to embrace equality. Education matters. A single year of primary education has been shown to increase a girl’s wages later in life by 20%. And there is an aggregate development impact too; an increase of 10% in the number of girls going to school increases national GDP by an average of 3%. Many nations in our region have dramatically lifted both GDP and per-capita incomes in recent years. Yet we are still seeing some of the poorest communities left behind, leading to widening inequality and growing pressures on non-government organisations. Labor recognises that supporting governments to deliver for all their people by promoting gender equality, improved services, and a better distribution of the benefits of economic growth is essential to a stable region and strong development outcomes. United Nations Secretary-General António Guterres is right to describe the achievement of gender equality and the empowerment of women and girls as the “unfinished business of our time, and the greatest human rights challenge in our world”. Equality remains a central and definitive Labor value, at home and internationally. That’s why the eradication of gender inequality will be a hallmark of a Shorten Labor Government’s approach to development assistance. * This article was updated to clarify figures from Marie Stopes International. An incoming Australian government should review and rethink the purpose of state-funded international broadcasting.